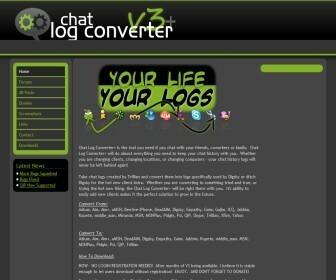 Chat Log Converter v1.x branch. Google has acquired Meebo, so Meebo Messenger is closing down. 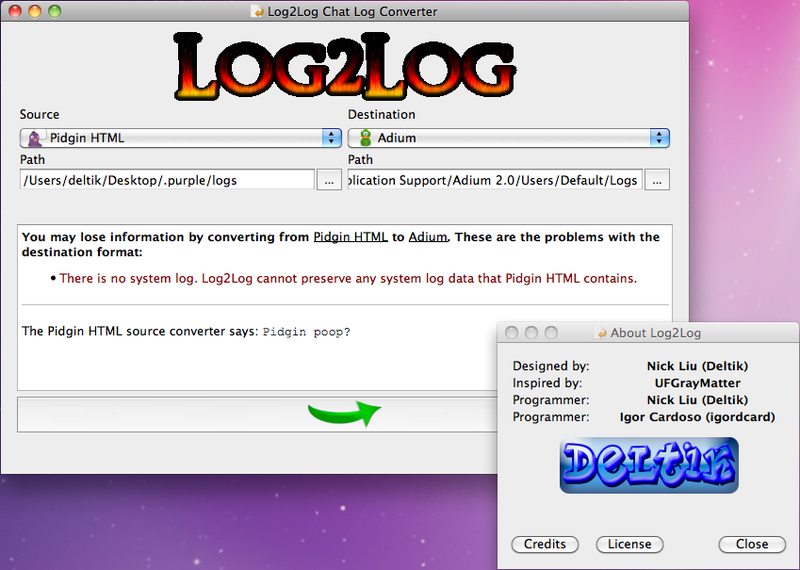 On 23 June 2012, Deltik pushed out an update, Log2Log v1.0.1—the last in the v1.x branch. 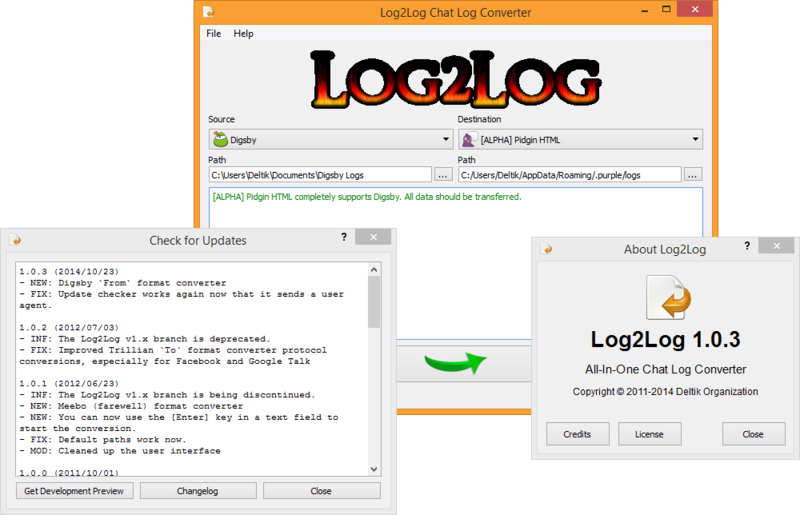 Log2Log v1.x has succeeded in it's original goal to convert Meebo chat logs, but due to very poor programming practices, Log2Log v1.x can no longer be supported. The Log2Log v1.x branch has been deprecated. 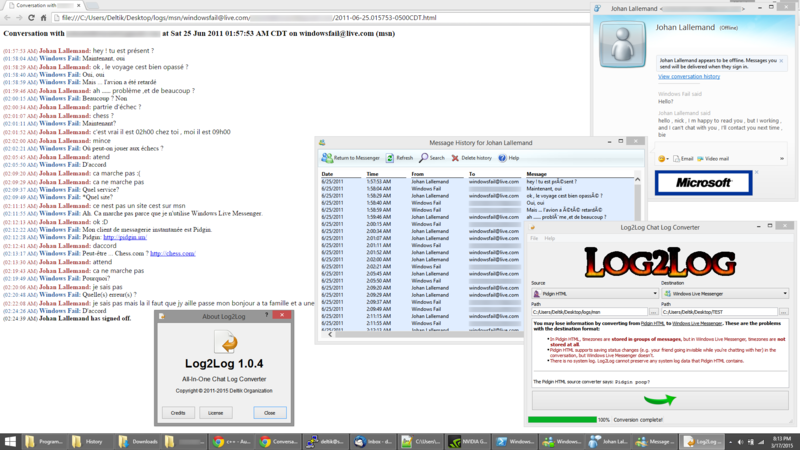 This is the final release of Log2Log v1.x (v1.0.1) as of 23 June 2012. 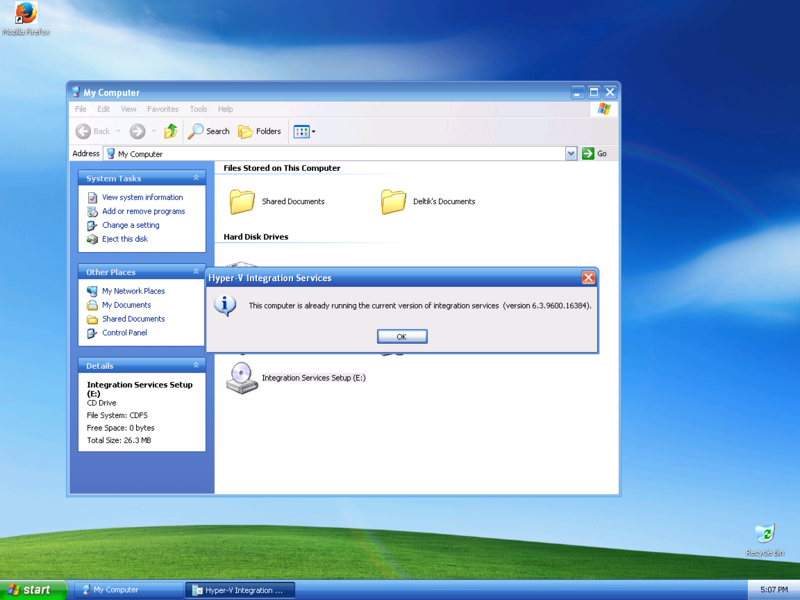 You may ask for a custom-built release; Deltik will help you support new format converters if you ask. A Log2Log v2.x branch is planned, but there are not enough human resources to make the project possible. have format converters in a modular plug-in design. The Loguntu project might also be started along with Log2Log v2.x. Loguntu is planned to be the ultimate digital life interface for all personal data. It looks really awesome on paper, but guess what? Nobody cares.